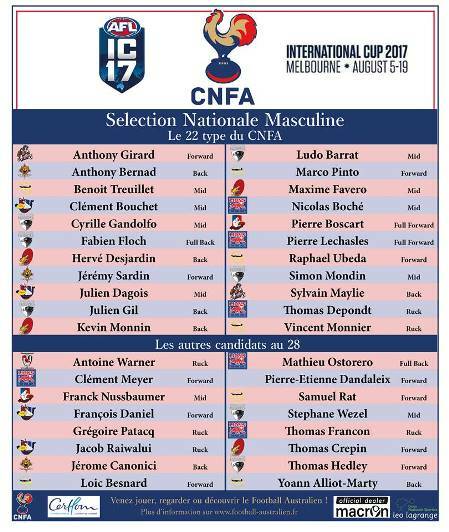 France is already taking a positive approach to next year’s International Cup with the announcement of their initial squad for the showcase event in Melbourne next August. 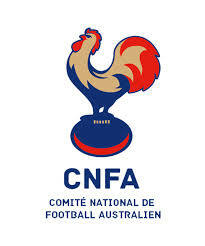 With a mix of players across CNFA teams, the group will now go through the stages of preparation and final selection over the coming months. A true representative team, all clubs have players selected. Of particular note is that two players from the newest team, the Blagnac Aviators, have been selected – Anthony Girard and Sylvain Maylie creating new Toulouse/Blagnac history. The squad (see below) features the initial 22 players selected as well as a supplementary list of other candidates of which six will be selected in the greater squad of 28. The French team finished the 2014 International Cup in 11th place after a gruelling two weeks of competition, and are already planning to improve on that result in Melbourne next August. The IC17 tournament will be played in Melbourne from August 5th to August 19th.